Links provided below may contain Amazon Affiliate links. I could get a kickback for you buying through the provided link which would help support my site. Wishing. It’s something all of us enjoy, I think. For me making out a list of wants is a fun way to celebrate my Birthday. It’s like your very own personal Christmas. For me, I love hearing what others want and am hoping that most everyone else feels the same. 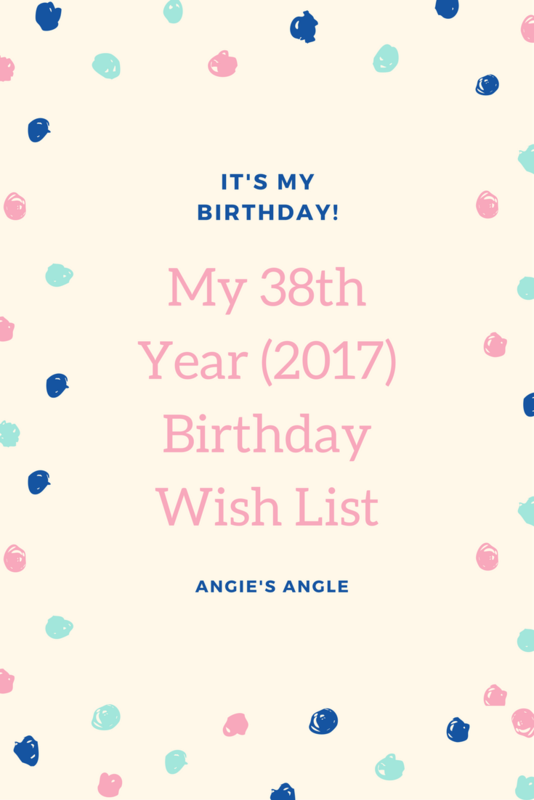 With my birthday Sunday, I thought this all about me Friday would be a perfect way to list out some of my birthday wish lists. Some may be far-fetched and out there but isn’t that the point of wishing? Why not throw out there your true hearts desire, you never know just saying it and wishing it may make it come true. Plus I just like lists. And of course, we must remember that birthdays are important. Furniture – Namely a new couch, a sectional reclining couch that is. Also, would like a love seat and maybe a reclining chair or two. And while we are here a new dining room table would be amazing as well. New Vehicle – which is likely coming later this Fall but still putting it out there into the Universe. Leaning towards the Kia Niro or the Mazda Cx5, our top two choices right now. Oil for the furnace and/or wood for the woodstove. Hey, I said to think big on this little wish list. Why not? You just never know. Plus I am kind of floored on how chilly the house is already feeling and we just now hit cooler weather and it’s not even that cold yet. Books – long wish list linked. A few top picks though below. Because books make me so very happy! – The Lake House by Kate Morton – one of our neighbors said this book was fantastic and she flew through it. It does sound so good! – Lilac Girls by Martha Hall Kelly – I’ve heard nothing but good things about this book. Plus each time we go to Costco I pet it as we browse the books. Yes, I am weird! – The Smell of Other People’s Houses by Boonie-Sue Hitchcock – a fellow blogger talked about this book on their blog many moons ago and it’s been on my wishlist since. Games – we all know I love a good game night and am forever hoarding new ones. Linked to my main wish list. A select few below though. Fitbit Alta HR – I have the regular Fitbit that Teresa gave me but I think it’s dying. It doesn’t hold a charge for long at all. I mostly like the sleep tracking. I wish I may, I wish I might, I have this wish that I typed tonight!